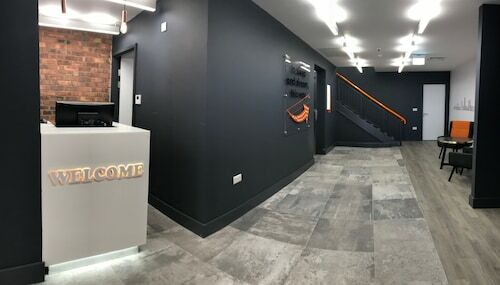 Located in University District, this guesthouse is 0.1 mi (0.1 km) from Headingley Stadium and within 3 mi (5 km) of University of Leeds and First Direct Arena. O2 Academy Leeds and Leeds General Infirmary are also within 3 mi (5 km). Burley Park Station is 9 minutes by foot and Headingley Station is 18 minutes. 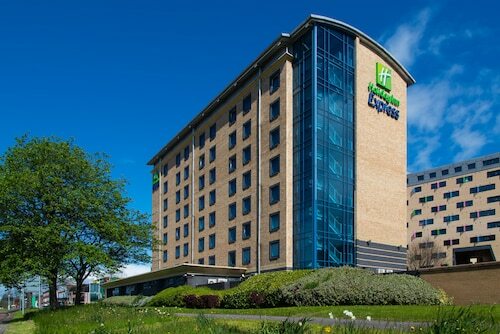 Located in University District, this hotel is 0.1 mi (0.1 km) from Headingley Stadium and within 3 mi (5 km) of University of Leeds and First Direct Arena. O2 Academy Leeds and Leeds General Infirmary are also within 3 mi (5 km). Burley Park Station is 8 minutes by foot and Headingley Station is 16 minutes. 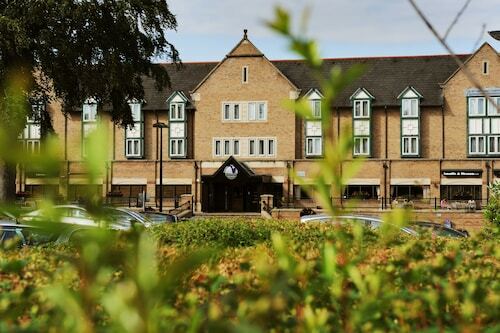 Located in University District, this hotel is 0.1 mi (0.2 km) from Headingley Stadium and within 3 mi (5 km) of University of Leeds and First Direct Arena. O2 Academy Leeds and Leeds General Infirmary are also within 3 mi (5 km). Burley Park Station is 8 minutes by foot and Headingley Station is 16 minutes. Located in University District, this spa hotel is within 3 mi (5 km) of Headingley Stadium, University of Leeds, and O2 Academy Leeds. Leeds General Infirmary is 3.1 mi (5 km) away. Headingley Station is 28 minutes by foot. 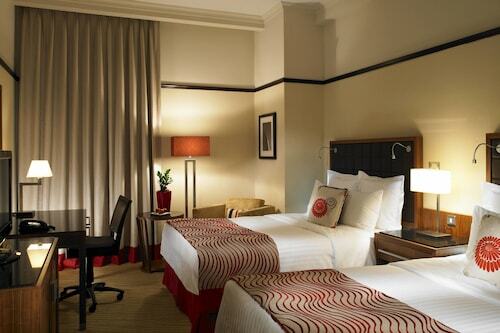 Located in the heart of Leeds, this hotel is within a 15-minute walk of Leeds Park Square and Leeds General Infirmary. University of Leeds and First Direct Arena are also within 1 mi (2 km). Leeds Station is 21 minutes by foot and Burley Park Station is 24 minutes. Located in University District, this hotel is 0.4 mi (0.7 km) from Headingley Stadium and within 3 mi (5 km) of University of Leeds and First Direct Arena. O2 Academy Leeds and Leeds General Infirmary are also within 3 mi (5 km). Burley Park Station is 13 minutes by foot and Headingley Station is 21 minutes. Experience an exciting game or even an entertaining event at Headingley Stadium. The buzz of the crowd alone is worth your while! You'll find it in Leeds, roughly 35 miles (56 kilometers) away from the major city of Manchester. 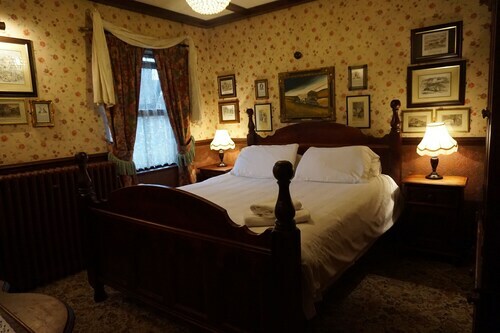 If you're not planning to travel too far from Headingley Stadium, you may want to lay your head at one of the 13 accommodations that are within 2 miles (3 kilometers) of the site. Lots of people recommend The New Ellington, 2 miles (3 kilometers) away, the Weetwood Hall Conference Centre & Hotel, 1 mile (2 kilometers) away, and the Crowne Plaza Leeds, 2 miles (3 kilometers) away. Cheap hotels tend to exude their own special kind of charm. Make sure you keep your eyes peeled for the great deals close by. 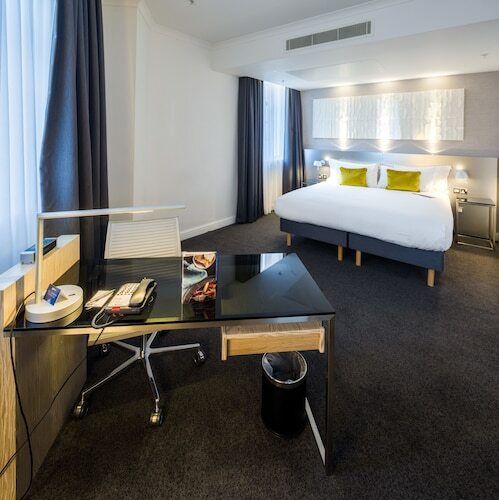 You could make a reservation at the Roomzzz Leeds City West, 1 mile (2 kilometers) away, or you may like the Boundary Hotel, which is 0.06 miles (0.10 kilometers) away. 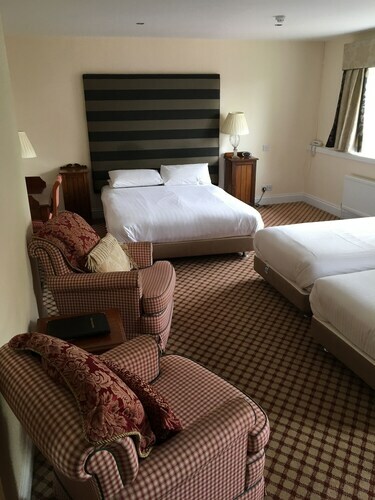 Relax in luxury at the Headingley Lodge, the only first-class solution here. It's within walking distance, only 0.1 miles (0.2 kilometers) away. Just a short walk away, Cj's Caf is the perfect place to order a quick bite and a beverage. If it's a hearty lunch or dinner that you're looking for, try New Headingley Club, a nearby eatery that's loved by locals and travelers alike. Finish off your afternoon with a drink or two at Headingley Experience, also nearby, and raise a glass to your colleagues back home. Mingle with locals and fellow travelers alike while relaxing and taking in a movie at Hyde Park Picture House. Toss the ball around with your family and enjoy your green surroundings at Woodhouse Moor. You might even like to pack a picnic and make a day of it. A hike along the well-known Meanwood Valley Trail will reward lovers of nature with scenic landscapes and a refreshing break from the noise and stress of daily city life. Free up an afternoon and get ready for some action at Hollywood Bowl. After you're done with the more famous museums, you could see the displays at M&S Company Archive. A popular way to get to Headingley Stadium is by rail. The best station in this situation, Burley Park, is just 0.4 miles (0.6 kilometers) away. Headingley is another convenient station, 0.6 miles (1.0 kilometer) away. How Much is a Hotel Room in Headingley Stadium? 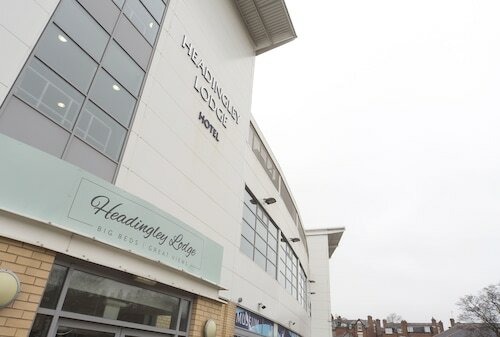 Hotels in Headingley Stadium start at $24 per night. Prices and availability subject to change. Additional terms may apply.